Professional Quality Clown Wig. 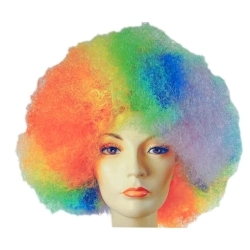 Deluxe style wig is the perfect wig for the professional clown. Available in Red, Rainbow, Hot Pink, Yellow, Orange and Red, White and Blue.